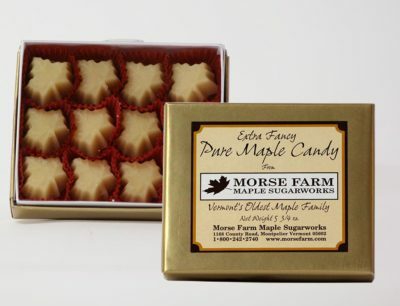 Fancy 12 piece box Pure Maple Candies. Made from Pure Maple Syrup, the old fashioned way. Net Weight 5 3/4 oz. 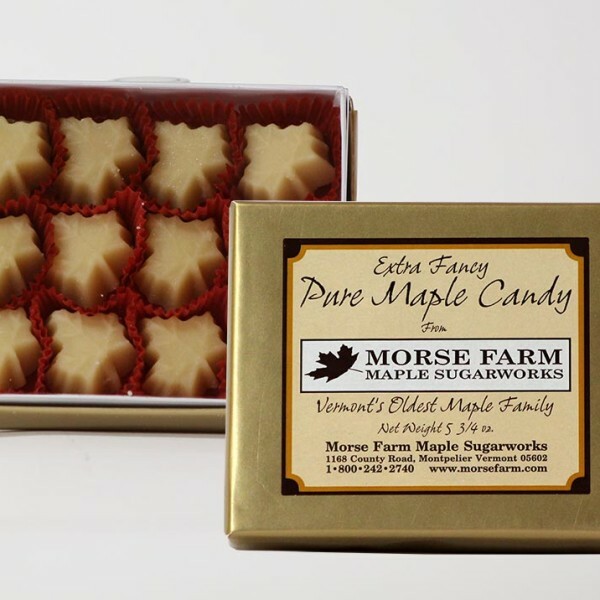 This candy is truly made by nature with just a little help from folks at Morse Farm Maple Sugarworks. We simply boil pure Fancy Maple Syrup to a higher consistency, cool it, stir it and pour it into molds. It’s purely delicious! Net Weight 5 3/4 oz.